Hardy perennial, excellent in borders or naturalized gardens. Grows to 24″ tall. 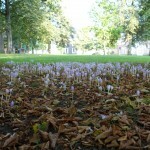 Leaves are basal, oval to ovate, toothed, and mid-green, to 5″ long. Stalks are long and very hairy. 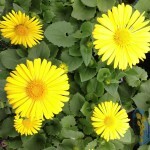 2″ to 3″ wide, showy, yellow to orange, daisy-like flowers, from summer until frost. Spreads rapidly to cover a large area. Durable, long-lived. Remove spent flowers to encourage additional blooms.